FNQ Legal is based in Cairns and practices in all aspects of compensation law. All of the work that we do is on a no-win no-fee basis. 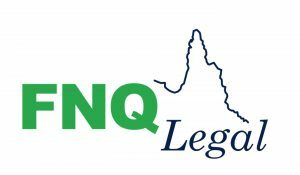 FNQ Legal is unlike other law firms. At all times you will deal directly with your lawyer and we don’t charge hidden fees. If we can help you with a claim we will provide you with a straightforward no-win no-fee agreement with the option of a fixed or capped price retainer. We provide a personalised service and can travel to meet with you. We regularly visit Townsville, Port Douglas, Mossman and all areas of the Atherton Tablelands. We also regularly travel throughout Cape York and North Western Queensland. If you need quality, cost effective representation then contact us for free, no obligation advice and find out what your rights are.